One of our main programs in Ecuador has been helping the indigenous Shuar establish reserves to protect their ancestral homeland and create sustainable development plans so they can thrive culturally and economically. 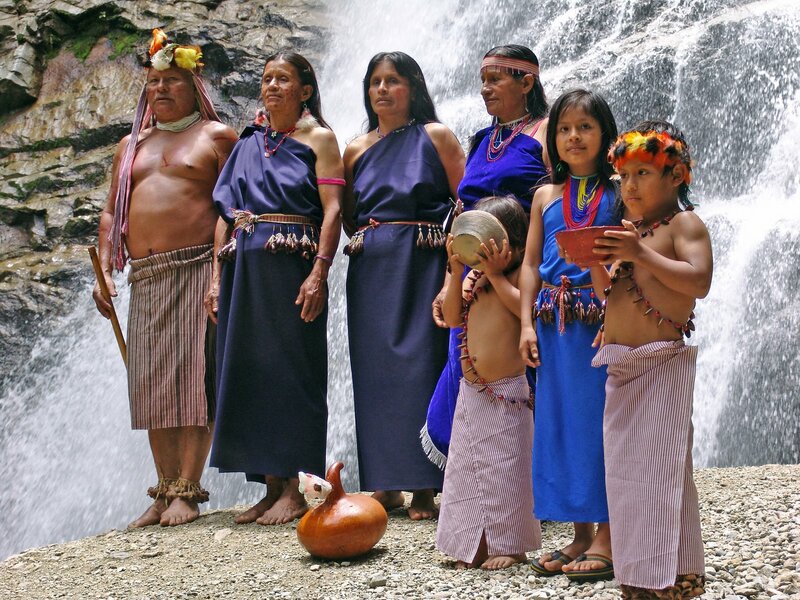 Indigenous Shuar culture is characterized by strong traditions and a unique vision of the universe, manifested through their language, food, myths, music and dance. Their ancestral land rights are guaranteed by the Constitution of Ecuador, but validating those rights and securing their legitimacy requires the support and action of public and private institutions. In 2013, we completed our largest conservation project with the Shuar to date, protecting 47,500 acres of rainforest with the Shuar Tayunts federation in the province of Zamora Chinchipe. After years of hard work alongside the Tayunts Association – which represents 7 different Shuar communities – the land was entered into Ecuador’s innovative Socio Bosque program, which combines conservation and social welfare. This is the first time the Shuar have received recognition and economic assistance for conserving their ancient forests. Now, 47,500 acres of rainforest in their Chai Nunka Reserve will be protected for the next 20 years. This reserve is key to maintaining connectivity between the Podocarpus National Park and El Condor Mountain Range – both areas of extreme importance for biodiversity conservation due to the environmental services they provide to thousands of people in southern Ecuador. In return for their pledge to conserve their rainforest through the Socio Bosque program, the Ecuadorian government will now provide over $70,000 annually to the Tayunts Association for monitoring and conserving the land. In accordance with the communities’ investment plan, the Shuar will also invest the money into scholarship programs, community health funds and upgrade housing and communal centers. They will also be used to purchase boats to improve communication and commerce between communities through the Numpatakaim and Nangaritza rivers. We are continuing to build the conservation and economic capacity of the Shuar people through investment planning, communal organization and sustainable forest management. For the Shuar people of the Nangaritza Valley, their admission into Socio Bosque was only possible through the support of our local and expert staff. In the Amazon rainforest of northeastern Ecuador, we are working with numerous Shuar communities to enter their land into Socio Bosque. In 2014, we were successful in entering 25,680 acres into the program, and are now working with them to develop comprehensive conservation and financial management plans. 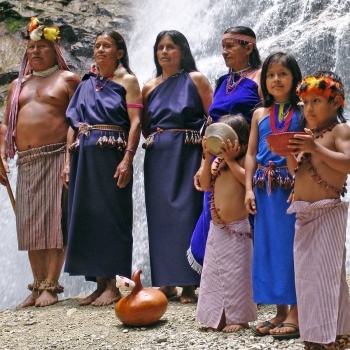 We place special emphasis on initiatives that protect and strengthen Shuar culture. Currently, we are exploring the socioeconomic conditions and methods of production used by the Kiim community of the indigenous Shuar to develop alternatives that reduce social pressures on the forest while simultaneously maintaining traditional methods of resource management. We are also working with the Shuar centers of the Kiim, Kurints and Washikiat to protect their areas known as Tiwi Nunka, Tukupi Nunke and Michi Nunka. We’re helping them legalize their ancestral lands and obtain official recognition of these areas as community reserves. We’re also working with them on productive projects and improving access to healthcare, education and nutrition. Now, we are proposing to help 10 additional Shuar villages in the upper Nangaritza Valley expand their conservation activities and train community leaders in environmental programs to revitalize Shuar cultural practices.